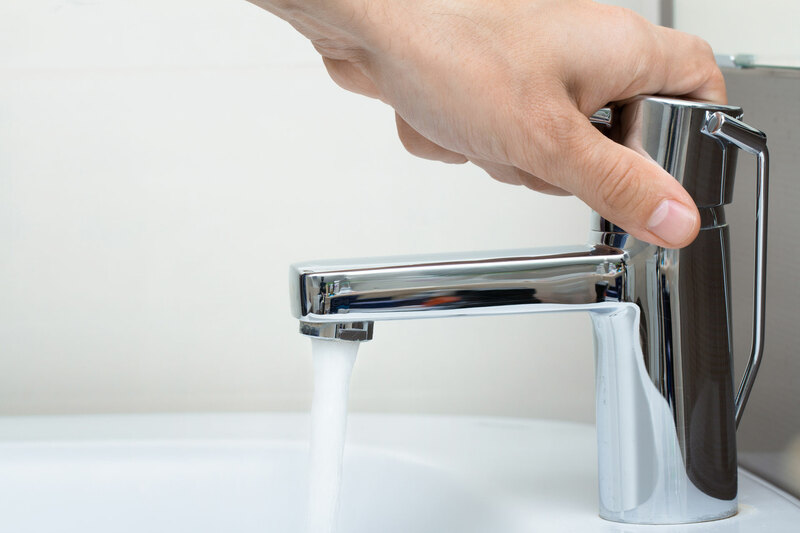 Commercial Water Savings Are Easier Than You Think! Water efficiency requirements for all non-residential users within the MPWMD must be achieved by December 31, 2013. Visitor serving commercial properties have additional requirements to meet by that date. For a printable list of water efficiency requirements, please click on the link below. Questions about these programs should be addressed to conserve@mpwmd.net or call 831-658-5601. California American Water will be offering grants designed to encourage schools, parks and cities to upgrade irrigation equipment. Funding is available for items such as weather-sensitive irrigation controllers, rain sensors and high-efficiency sprinkler-heads. Technologies including water budget management systems, weather-based timers and specialized irrigation systems that minimize water loss and maximize efficiency are also eligible for the program. For more information, contact the California American Water conservation department at (831) 646-3205. After the survey is complete, you will receive a summary report of findings and recommendations. Surveys will be conducted on a first-come, first-serve basis. To schedule your free survey, please contact the California American Water conservation office at: (831) 646-3205. Water Permits from MPWMD are required prior to any non-residential new construction, increase in square-footage or change in use (changing from one type of business to a more or less intensive type of use as shown on Table 2, MPWMD Rule 24 ). Additional information can be found in MPWMD Rules 23 and 24. To review these rules, please CLICK HERE. California American Water and the Monterey Peninsula Water Management District provide free placards to hotels and restaurants, reminding customers to save water. The water cards take three forms, a linens card, and bathroom card for hotels and a table card for restaurants. The linens card can be placed on a nightstand asking guests to place the card on the pillow if they would like their linens changed, or leave the card, if they would like to use the linens again. The bathroom card asks guests to place towels on the floor if they need replacing or to re-hang the towels that will be used again. 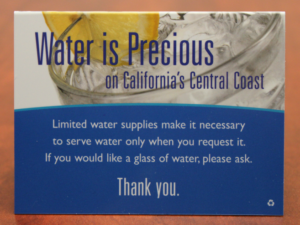 The restaurant cards remind guests that ‘Water is Precious on California’s Central Coast’. If a customer would like water they are asked to request it, otherwise a glass will not be served, in compliance with current Monterey Peninsula Water Management District rules. Every glass of water that is served costs four glasses of water in the washing and rinsing of the glass. So, for every glass not served, five glasses are saved. Using the cards can decrease a business’ impact on water supply as well as decrease their water bills. The cards were created in partnership with local agencies including the Monterey County Hospitality Association, Water Awareness Committee of Monterey County, Marina Coast Water District and the Association of Monterey Bay Area Governments.